The 125th anniversary of a Scottish whisky hotel considered “one of the best in the world” is being celebrated this month. 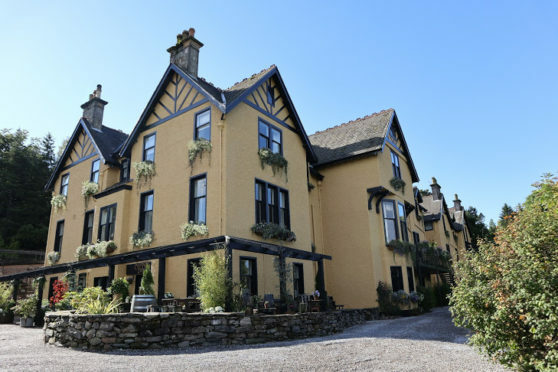 The Craigellachie Hotel in Speyside was built in the 1890s after it was recognised that the area was becoming an increasingly favoured spot for tourists, and has since undergone several renovations. It underwent a £3million revamp in 2014. The hotel is now home to the lively Copper Dog bar and world famous Quaich Bar, which boasts 850 single malt whiskies between them. While the 26-room hotel acts as a popular meeting place for the local community, and those visiting from far and wide. Managing director Kevin Smith, who joined the hotel in 2010, said: “I’ve always said that we wanted to create a hotel that makes you feel at home when you arrive, and when you leave we want you feel like you can’t wait to return. “Our 125th anniversary marks an important part in the hotel’s journey. The team will release a state-of-the-art cocktail menu to mark the anniversary. And visitors will be able to dine at The Quaich for the first time.